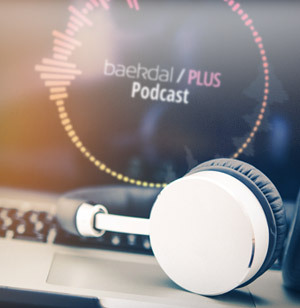 Welcome to Episode 9 of the Baekdal Plus Podcast. Like last time, this is a hybrid article. You can choose either to read it and see the visual examples, or instead listen to it as a podcast and get similar but also slightly different audio-focused examples. In today's episode, the main focus is going to be the future of interactive TV. You have probably already either seen or heard about how Netflix created an interactive episode of Black Mirror, called Bandersnatch. It was nice, and Netflix is saying that more is coming. And in the media, there is a lot of talk about how this is going to be the future of TV. So, is it? Well... that's complicated. But this is the focus of what we are going to talk about today, so grab yourself a nice cup of tea, or take your headphones and put on your best comfy shoes for a nice long walk, and let's start this story. The video above is from a beautiful game called Detroit: Become Human, that takes the player through an interactive experience that is going to challenge your emotions in a rather profound way. But I will get back to this in just a moment. First, I want to talk about Netflix and the future of interactive TV. In fact, let's start by talking about where this all began, which is back in the 1990s. The first example of interactive TV in my country happened in the 1990s, when four TV stations joined together to create an interactive TV show. The way it worked was very simple. Essentially, they created four parallel stories that were shown simultaneously, one on each channel, where at several points during the broadcast, the show would stop and ask you to make a choice. And the way you made this choice was to pick what channel you wanted to continue watching, meaning you would simply use your TV remote and then switch to one of these four channels. So, you might start out your journey on channel 2, then switch to channel 1, then back to channel 2, then to channel 4, and then finally end with channel 3. And just like this, you could create your own story, but in a very limited way.